For the past twelve years, Jason Coats has been the Education Coordinator for the Barn. Under his guidance, our youth programing has grown in scope and complexity. Students who have taken their first steps as an actor on the Barn stage, have grown into students or professionals in theatre settings across the United States. Due to his new professional obligation, Jason has decided to step down from his role with The Barn. 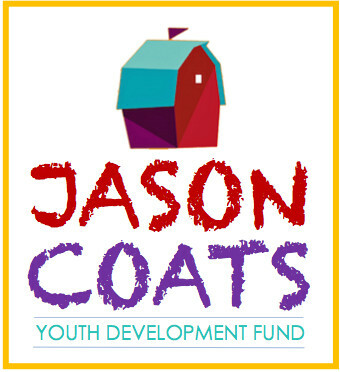 In his honor, The Barn is establishing The Jason Coats Youth Development Fund to help more children be introduced to the performing arts and to make sure our youth programing remains strong. If you have been one of Jason’s collaborators, students, friends or have appreciated his work from the audience, please consider making a donation in his honor. You will be saying thank you to Jason as well as validating the importance of children being exposed to live theatre. Clicking on the "Donate" button will take you to PayPal's secured site for credit card transaction. From the drop-down menu, please select "Jason Coats Youth Development Fund" and your donation will be earmarked toward this program.